You’ve worked all your life and now you may finally enjoy the fruits of your efforts. Fiè allo Sciliar is the ideal destination for a relaxing and inspiring senior holiday! We’ve designed our guesthouse in a senior-friendly way, thus, even guests with a walker can move easily and comfortably. From the house, there is a wide and easy path to the village church of San Costantino with its interesting history and architecture. Furthermore, there is a bus stop right in front of the house, allowing you to go on excursions without having to walk far. If you simply wish to relax, you may do so in our guesthouse. On our well-kept lawn, you may enjoy the fresh mountain air and the bright sunshine and admire the beautiful view of Mount Sciliar. In the heart of nature, our guesthouse is a stress-free area where you may relax and enjoy the healthy climate. Senior vacations in South Tyrol bring many holidaymakers and groups to Fiè allo Sciliar. After all, the popular health resort at the foot of Mount Sciliar in South Tyrol is characterized by nature, well-being, and pure pleasure. 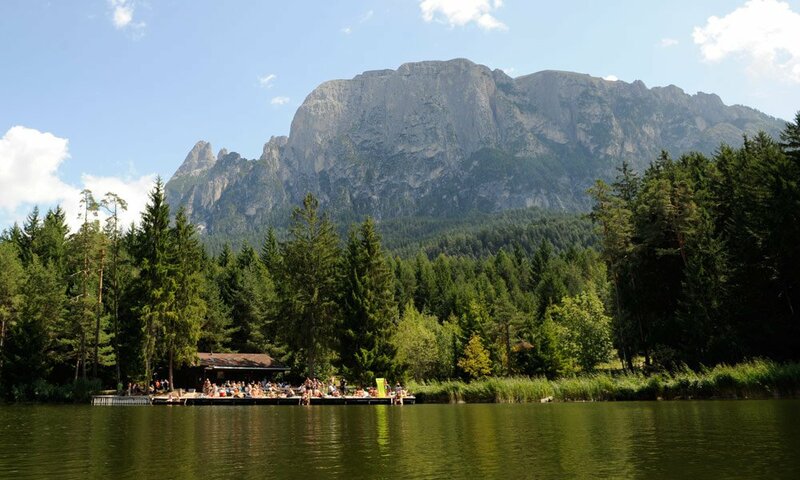 Around the Lake of Fiè, at the Nature Park Sciliar-Catinaccio and on the Alpe di Siusi there are many hiking opportunities. In the cold season, you can of course also indulge in winter sports and receive discounts on ski passes and other offers in the ski resort Alpe di Siusi. More than 100 years ago, the health-promoting hay bath was invented Fiè allo Sciliar. However, alpine wellness offers you not only the hay bath therapy, but also massages, beauty treatments, and saunas. But also gourmets will have a great time during a senior vacation in Fiè. 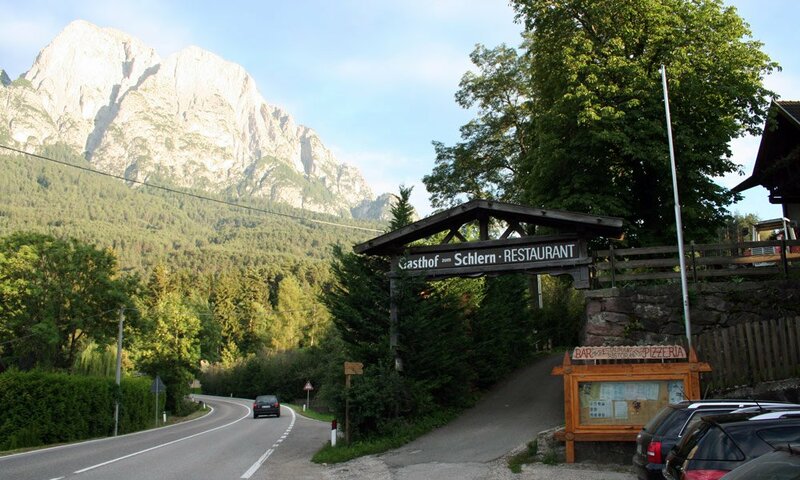 Fabulous culinary delights are served not only at the Gasthof zum Schlern, but also in many taverns and mountain huts in the region. Especially in the autumn, you may look forward to great culinary highlights during the gastronomic event “Völser Kuchlkastl”! Enjoy not only wellness and culinary delights, but also many cultural offers in the village of Fiè and in the surrounding area. 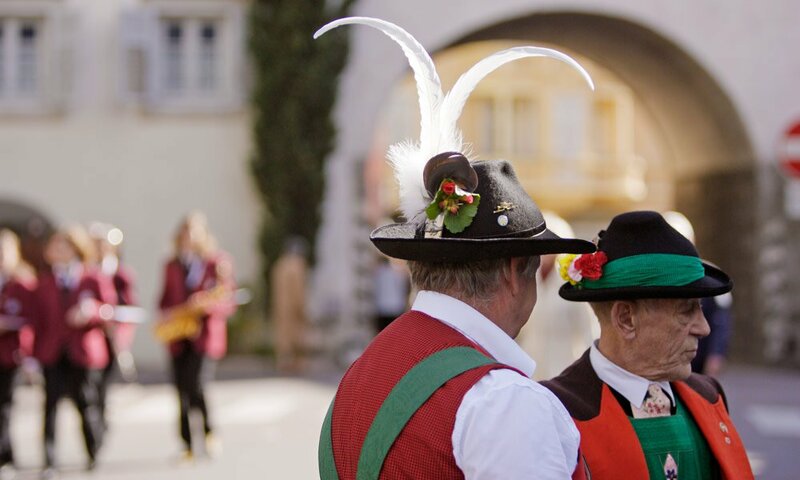 The Sciliar International Music Festival or the musical programme supporting the culinary event “Völser Kuchlkastl” are only two of the many cultural highlights in Fiè. The city of Bolzano with its museums, castles and palaces offers many interesting opportunities to get to know the culture of South Tyrol and its ancient traditions.